While the archiving and deletion of change requests is available in SAP Master Data Governance already for a while, I’d like to provide you with an overview on these features, because there were some questions from the community about this recently. The general recommendation is to archive change requests. Archiving removes the change requests from the database and moves them to an external storage. This will reduce the size of the database and improve performance. Important to archiving is that only change requests in a final state can be archived, namely in the statuses Final Check Approved or Final Check Rejected. 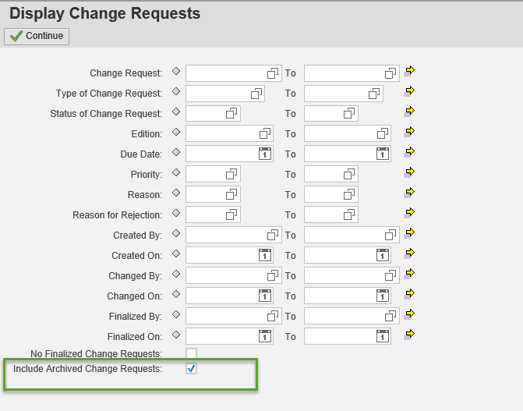 You can still access archived change request from the application Display Change Requests. Please use the documentation of archiving object MDG Change Requests (USMD_CR) for further information. You can access this from transaction SARA. If you want to remove change requests completely, you can also delete change requests. This is often the case to clean up things in test or development systems. To ensure audibility, deletion is only allowed in system clients that are not marked as productive. You delete change requests with transaction MDG_DELETE_CREQUEST. The info button also provides you with more information on the usage. 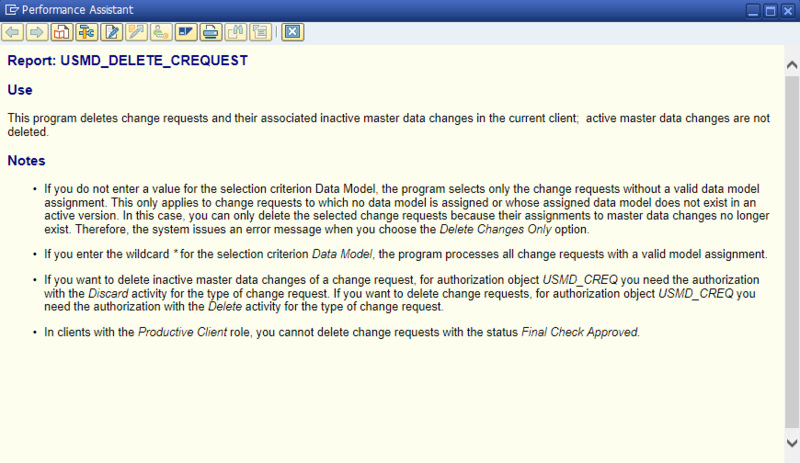 Please see SAP Note 2574330 – Archiving and deletion of change requests for information on availability.